This is a story that though peppered with a myriad of complex and often heartbreaking issues, never forgot that it was set in a world being experienced through the mind and heart of a young and for the most part, still very innocent girl. Apron Bramhall has lost her mother to Cancer, her father to a Brazilian nurse's aide named 'M', and her bff has sailed off in search of the big fish in the popularity pond. So it is no wonder that Apron is having a few issues in the feeling loved and secure department. At least until she discovers Jesus (I mean Mike) who plays Jesus in "Jesus Christ Superstar", and her world starts to brighten. As it turns out, her friendship with Mike leads to her finding a some of the time job, but most of the time safe haven at Scent Appeal, the flower shop that Mike runs with his partner Chad. The relationship between Mike and Chad, and the revelations that Apron experiences because of her closeness with them, serve as both the catharsis for Apron and an emotional touchstone for the reader. Readers will find themselves pleasantly surprised by the balance of humor, poignancy, and brevity that this book is able to maintain while still remaining unpretentious and fresh. Apron, while often unsure of her place on the world, was a girl who stood up to the challenges in her life and grasped life and love with a wholehearted acceptance that the adults in her life could have learned from. 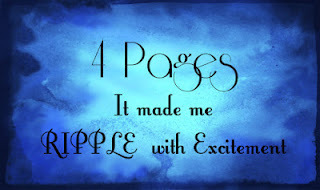 This is a beautiful story that readers are sure to carry in their minds and hearts forever. 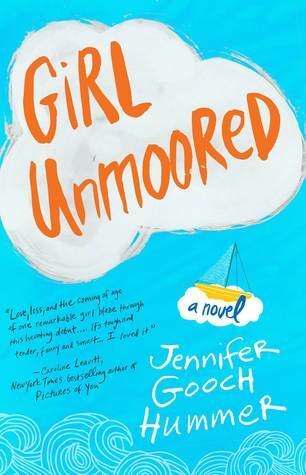 Jennifer Gooch Hummer is the award-winning author of her debut novel, Girl Unmoored. Jennifer has worked as a script analyst for various talent agencies and major film studios. Her short stories have been published in Miranda Magazine, Our Stories and Glimmertain. She has continued graduate studies in the Writer’s Program at UCLA, where she was nominated for the Kirkwood Prize in fiction. Currently, Jennifer lives in Southern California and Maine with her husband and their three daughters.